Joe Raedle/Getty ImagesFlorida Sen. Marco Rubio speaks to the media. A new Florida poll released Wednesday illustrates exactly why Republicans want Marco Rubio to run for reelection to the Senate: He may be the only one from their party who can win. A Quinnipiac University poll published Wednesday found that Rubio topped both of his Democratic challengers. He led Rep. Patrick Murphy, 47% to 40%, and Rep. Alan Grayson, 48% to 40%. Meanwhile, none of the other Republican candidates held a lead over either of the Democrats. “But if Rubio’s last-minute decision is to seek reelection, he could be in the driver’s seat,” said Peter Brown, assistant director of the Quinnipiac University Poll. 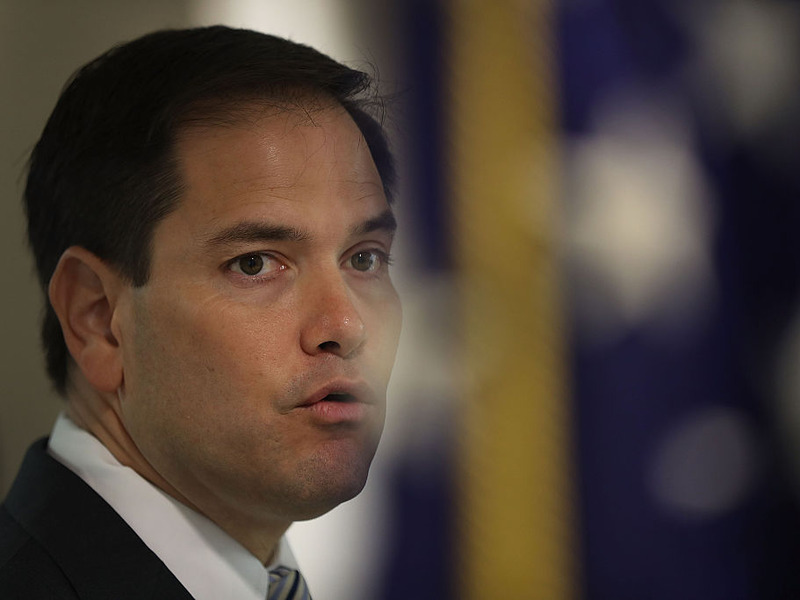 When he was a candidate for president, Rubio repeatedly said that he would not run for reelection to his Senate seat. However, after the Orlando terror attack, he said he was reconsidering the decision. Top Republicans, including Senate Majority Leader Mitch McConnell and presumptive Republican nominee Donald Trump, have urged Rubio to run for another term. Even conservative radio host Sean Hannity, who was critical of Rubio as a presidential candidate, called on him to run this week. “With Republican national leaders worried about keeping control of the US Senate, Sen. Marco Rubio might ride to their rescue if he decides to reverse field and seek re-election,” Brown said. They might soon get their wish. National Review reported Wednesday morning, citing two sources, that Rubio has begun telling colleagues he will run for reelection. The deadline to file paperwork is Friday.